Our sources on the ground say Iraq builds additional observation posts and checkpoints on the border with Syria. 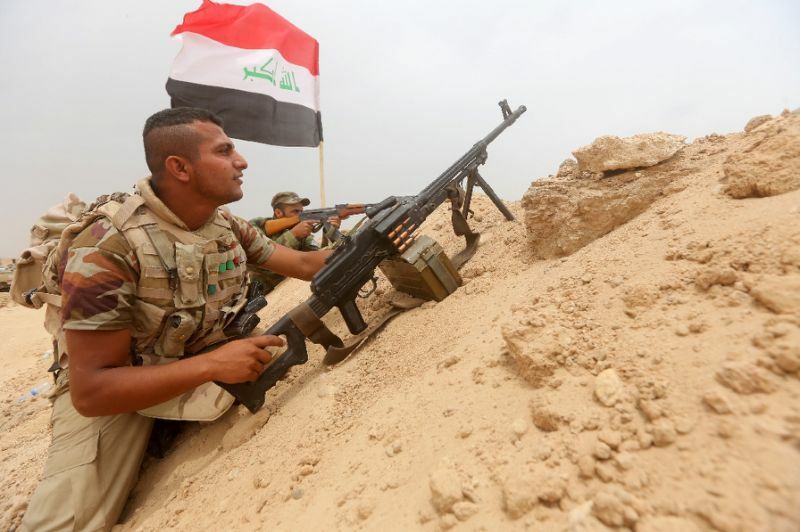 Moreover, Iraqi government sent reinforcements to Al Qaim area to counter illegal crossing of the border. The situation is rather interesting as Iraq which earlier cooperated with the Kurdish forces fighting ISIS in Hasakah and Deir Ezzor provinces now establish additional security posts and amass forces near the border with Syria. This means ISIS is still strong enough to counter SDF attacks and even press them to Iraq’s territories, and Baghdad is not happy with that. Also, Kurdish SDF units there include a big number of local Arabs and Bedouins who don’t want to destroy their homes and pose threat to their relatives living in ISIS-controlled areas there. At the same time, Islamic State terrorists operating there are mostly foreigners who have to choose between dying in combat or being killed in Kurdish prison. So, Baghdad is getting ready to a possible escalation along the border with Syria and prepare to stop all those (SDF or ISIS) fighters who possibly can try to save in Iraq.